Expelled Kerala DGP T P Senkumar has reiterated before the Supreme Court that his removal from the post by Chief Minister Pinarayi Vijayan can only be related to his independent and thorough investigation into the political violence in the state in which several CPI(M) leaders had come under the probe and had nothing to do with his handling of Perumpavoor murder case or Puttingal fire tragedy as alleged by the state government. The apex court will take up Senkumar’s plea and his rejoinder to the counter affidavit filed by Kerala government tomorrow. On a petition filed by Senkumar seeking his reinstatement, the apex court had on March 7 sought explanation from the LDF government in Kerala on its decision. It is pertinent to note that the state government in its counter affidavit said “the petitioner had not pleaded any malafides against the additional chief secretary(Home) who prepared the reports pertaining to Jisha murder and Puttingal temple fire tragedy. “These reports were relied on by the state before the administrative tribunal.It was specifically stated by the state before the tribunal that these reports and files pertaining to the same were relied on by the government to transfer the petitioner”, the state government’s affidavit said. “The manner in which the petitioner dealt with the temple fire and Perumpavoor murder created widespread serious dissatisfaction among the general public about the efficiency of the state police”, the affidavit stated. In a detailed rejoinder to the counter affidavit filed by the state government defending its move, Senkumar has touched upon all the issues and given a point-to-point rebuttal of all accusations leveled by the state government. TARGETED FOR ACTION AGAINST POLITICAL VIOLENCE: It would be pertinent to note the disastrous increase of the spate of political killings that have occurred in the State of Kerala since my removal as State Police Chief. I took it upon myself to impose a crack down on any form of political violence in the State , as a result of which there was a huge reduction in numbers. In the 1st year since I was removed, there have been 13 political murders in the State. It is submitted that the freedom and independence to act without fear of back lash against persons regardless of political affiliation was the intent behind this Hon'ble Courts judgment in Prakash Singhs case. ON PERUMPAVOOR MURDER CASE: The counter affidavit of the government said I was removed for the manner in which I dealt with the murder case and Puttingal temple fire.As far as the the Murder Case is concerned, Chief Minister Pinarayi Vijayan, in his statement before the State Legislature on March 8, 2017 stated that I was not removed because of the manner in which he dealt with the the Murder Case. “Therefore the criteria of the State Govt. before this Hon'ble Court holds no water because of the contradictory stands taken by the State Govt. at various levels. On the one hand the Chief Minister on 27.5.2016 vide its note invokes Section 97(2)(e) of the Act and transfers the Petitioner on the ground of his handling of the Jisha Murder Case, which is also the State Govt's defense before the CAT, High Court and this Hon'ble Court. However, the Chief Minister gives a statement contrary to the assertions on the floor of house as late as on 8.3.2017. Therefore, on this ground alone the impugned order dated 25.1.2017 ought to be struck down”. Said Kumar. ON PUTTINGAL FIRE TRAGEDY: When I was asked by the earlier Chief Minister Oomen Chandy to discuss the incident, I issued a nine point noting indicating my analysis of the facts and the action which was to be taken. Curiously, this nine point noting of the Petitioner was missing from the file pertaining to the incident. A study of the same indicates that the Petitioner took a non partisan perspective of the incident and therefore there can be no allegation against the Petitioner that no action was taken. DECISION OF REMOVAL NOT BY COUNCIL OF MINISTERS BUT THE CM ALONE:Government’s Counter Affidavit that it was the council of ministers that took the decision to transfer the Petitioner from the post of the State Police Chief is baseless. The present State Govt. was sworn in on 25.5.2016 and the decision to remove the Petitioner was taken on 27.5.2016 by the Chief Minister vide a note written by him. No minutes of any cabinet meeting has been submitted by the State Govt. before any forum indicating that a reasoned decision, based on verified and tested data was ever taken. I AM SEEN AS A POLITICAL OPPONENT:The contention that I am not a political opponent of the present Govt is also controverted by the fact that the Chief Minister has on the floor of the house cast doubts on my aspirations calling me the member of the opposite political party. This statement substantiates my claim that I am being targeted for my independent and thorough investigation into the political violence that ripped through the State of Kerala. . ARGUMENT THAT I AM NOT CAPABLE TO HOLD THE POST DOEST NOT HOLD WATER:I have got outstanding ACRs with rankings of 10/10 with the previous Left Democratic Front Govt. (LDF) as well as the United Democratic Front Government. Further, LDF Government mentioned that I was one of the best and exemplary IPS Officers to ever wear the Police uniform. Therefore, the contention that I am is not capable enough to hold the post of State Police Chief does not hold water. I have submitted a true copy of the Performance Appraisal Reports pertaining to the Petitioner from 2009-2016 is submitted herewith and marked as Annexure R-4. Appearing before a bench of Justices Madan B Lokur and Deepak Gupta, Senkumar's counsel and senior advocate Dushyant Dave had on March 7 urged the court to stay the state government's decision which, he said, smacked of arbitrariness. "I am being damned without reason. By the same standard, will the chief minister be removed taking responsibility for the political murders?" he asked. The court prima facie agreed with his submission that a top officer cannot be punished for an incident. "We have been reading in papers about crime incidents that take place almost daily. If on the basis of such incidents, you begin to remove DGP of a state, there would be no policemen left in this country to serve at this post," the bench had said. 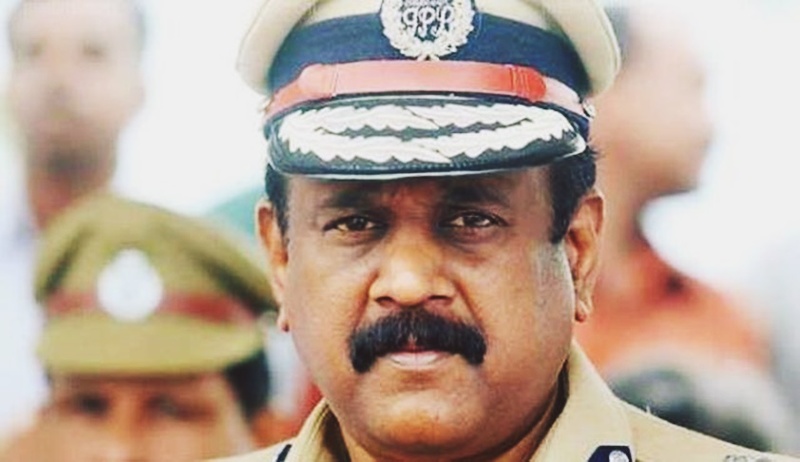 Senkumar challenged the decision of his removal as a violation of Section 97(2)(e) of Kerala Police Act which assures a two-year tenure to the DGP. He was removed with one year of his tenure still left.